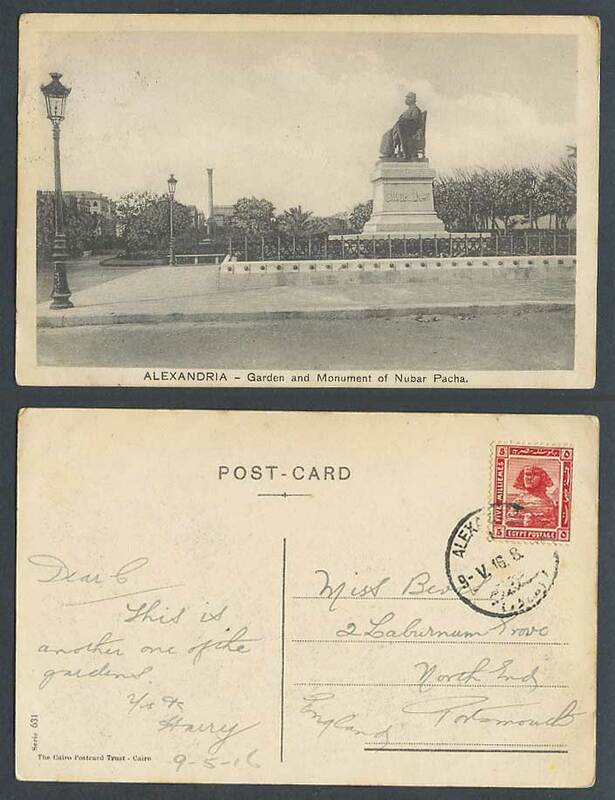 Vintage Egyptian Old Postcard, Africa Egypte Egypt, Alexandrie, Les Jardins Nubar-Pacha. Alexandria - Garden Gardens and Monument of Nubar Pacha. Statue Memorial. Postally Used in 1916 with 5m Sphinx stamp. Background: Located on the Mediterranean Sea coast, Alexandria (in Arabic, الإسكندرية  al-Iskandariyah) is the chief seaport in Egypt, and that country's second largest city, and the capital of the Al Iskandariyah governate.